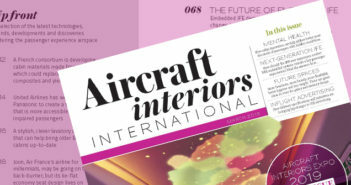 Astronics is presenting a number of new products at Aircraft Interiors Expo this week, including a collaboration with HAECO Cabin Solutions to integrate the SmartTray passenger electronic device (PED) holder into HAECO’s Vector economy seats in-arm tray tables. The PED holder creates valuable tray table space as it allows passengers to user their devices hands-free. 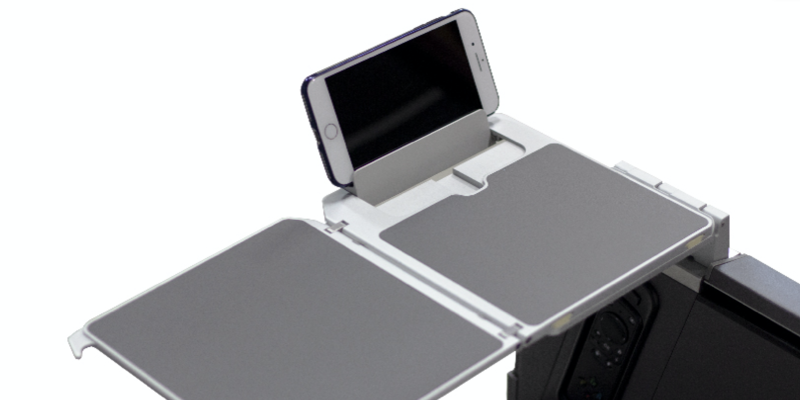 The technology is backed by over 11 patents for mounting PED holders on tray tables or in-arm, as well as for a number of mechanical and articulating concepts. Several configurations are available, to suit different types of tray tables and seat classes. Initial installations of the SmartTray in HAECO seats have already begun, including in a large international carrier’s A350 aircraft. Another new product on the Astronics stand is a new emergency locator transmitter with GPS designed to locate civil aviation life rafts. The new SRB-406G is 4.6% smaller and 15% lighter than previous versions of the company’s ELTs. Activated either manually or automatically upon life raft deployment with a self- deploying antenna, this ELT can improve a search and rescue operation’s response time by providing rapid and accurate location. Finally, the company is presenting a new range of power conversion products which are available off-the-shelf and certified to provide an easy way to modernize aircraft power systems. The new power conversion products offer significant improvements in size, weight, and efficiency, thanks to the solid-state technology, which allows for smaller parts with higher power ratings and less heat emission. The new units include a regulated power converter that offers a 30% weight reduction compared to a traditional TRU; a dual-frequency converter which provides the majority of a complete business jet cabin power system in a single box for easier installation; as well as a frequency converter, a static inverter and a 270VDC-to-28VDC bidirectional converter.